Very friendly staff, great location, quaint yet modern. Loved it! For the price it was very good. It was basic but clean. Warm, friendly restaurant & hotel. What a treasure. Everything ! The hotel is in the beautiful and quiet place and is far from a noisy traffic. Very friendly and good collective. Excellent breakfast. And all this for such small board - it is surprising. Super. Breakfast was good and the lady serving it was nice. Very friendly staff that made me a lekker Schnitzel very late, which I highly recommend trying! Breakfast also offers plenty of options. We came at 11pm, but hotel wait for us. Thank you. Breakfast was included in price, conveniently. 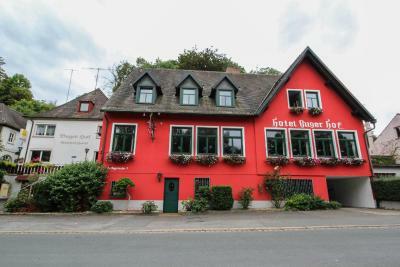 As a guest at the family-run Hotel-Restaurant Buger Hof, you can expect lovingly furnished rooms and a complimentary breakfast buffet each morning. 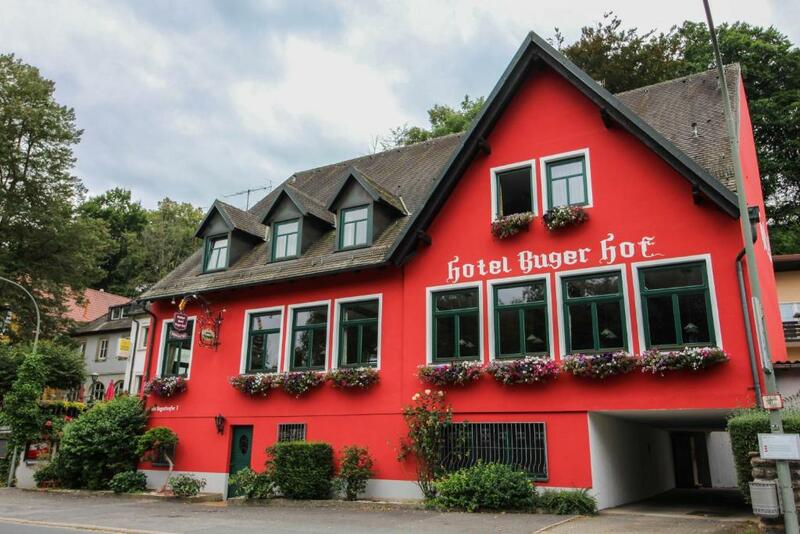 After an eventful day, you can try delicious regional dishes and a range of beverages in the Hotel Buger Hof's cozy restaurant. During your stay at the Buger Hof, take some time to explore Bamberg's most popular sights. These include the UNESCO-listed Old Town district and the Bamberger Dom cathedral. 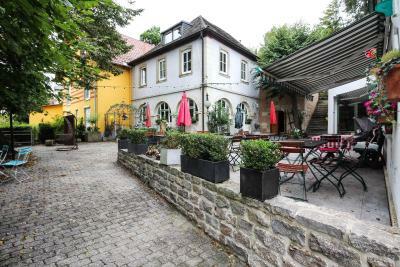 When would you like to stay at Hotel-Restaurant Buger Hof? Classic-style room with a TV and private bathroom. Classic-style room with a TV. Shared bathroom facilities are located in the hallway. House Rules Hotel-Restaurant Buger Hof takes special requests – add in the next step! 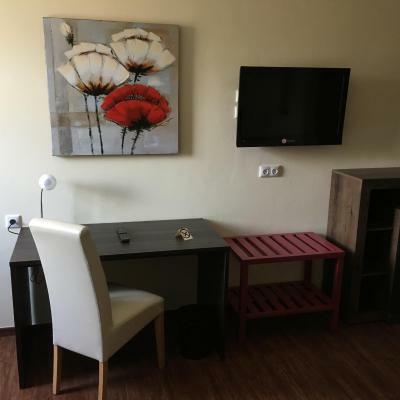 One child from 0 to 4 years is charged EUR 10 per stay in a crib. Hotel-Restaurant Buger Hof accepts these cards and reserves the right to temporarily hold an amount prior to arrival. The room looked dated and more like a hostel. We booked a double room, got a room that could accommodate four that looked pretty bad. There were not two beds that looked the same. The bathroom smelt really bad. I d'ont expected for shared bathroom. It's my mistake. Convenient, cheap and friendly. Secure parking for my motorcycle. Ideal for me as a long distance traveller stopover. Good breakfast and menu choice for eve meal. Value for money, excellent friendly staff, good breakfast. Good choice of evening meals. Secure motorcycle parking. The hotel is very dated inside and there was a weird smell in the room and corridors. The room had a few insects, including some dead ones on the windows, killed by previous guests! There were thick dust layers on the wardrobe and spider webs behind the chairs which we discovered while trying to kill a fly. Finally we found the sheets quite bobbly and old which wasn't particularly pleasant. The staff were friendly and the hotel has an appealing impression from the outside. Pretty far from town. Have to switch buses to get downtown or it's about a 45-60 min walk. Only 2 unisex toilets and 2 unisex showers for a whole corridor of rooms. Toilets and showers are open top and bottom. I would respectfully suggest converting another room to provide more bathroom facilities and separate ones at that. Hotel has very large public rooms and must take a lot of cleaning. Some areas in bedrooms and common rooms missed. Rooms need a fan for hot weather. Hotel is a 45 minute but lovely walk along the river to Bamburg centre through parkland with the option to swim in the river at the community bathing section along the way. Good breakfast. Friendly hosts. Outside resting area. Quiet at night. Easy to find by car and car park on site. The park close to the hotel is beautiful and the restaurant had a nice outside terrace. The room had a shared bathroom with a whole corridor -Not a place for someone who values cleanliness. The staff was friendly. Rather a long (though pleasant) walk (40 minutes) from the town centre. The hotel is actually in the small suburb of Bug. Friendly staff who spoke good English. 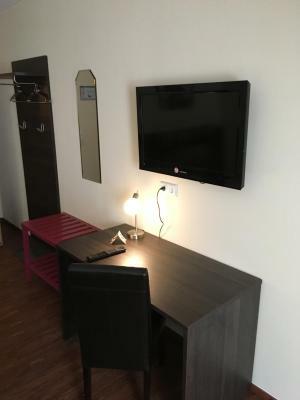 Good sized room with free WiFi. Nice breakfast buffet. Plentiful free parking spaces. Tasty schnitzels in the evening! Good local beer. Traditional old world feel.